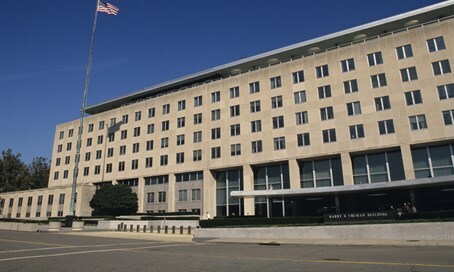 State Department uses unusually strong language in condemning Israel's plans to build in Maale Adumim and in Jerusalem. The State Department on Tuesday issued a scathing condemnation of Israel's plans to build new housing units in Maale Adumim and in Jerusalem. “If it’s true, this report would be the latest step in what seems to be a systematic process of land seizures, settlement expansions, and legalizations of outposts that is fundamentally undermining the prospects for a two-state solution,” said State Department spokesman John Kirby of the plans, which were announced Sunday following last week's terrorist attacks against Israelis in Judea and Samaria. “We oppose steps like these, which we believe are counterproductive to the cause of peace. In general, we’re deeply concerned about settlement construction and expansion in East Jerusalem and the West Bank,” he charged in his daily press briefing. Kirby stressed that the United States was having “tough discussions” with Israeli leaders about the construction plans. The plans announced by Prime Minister Binyamin Netanyahu and Defense Minister Avigdor Liberman include 560 housing units in Maale Adumim, as well as the advancement of plans to build 240 housing units in Jerusalem. The condemnations also come after the Middle East Quartet released its report which called on Israel to stop its construction in Judea and Samaria, but also criticized the Palestinian Authority (PA) for its incitement to terrorism against Israelis.